Ladies, it's Friday and the weekend is finally upon us. I think this lipstick is a gorgeous addition to that perfect weekend soirée you may have planned. Ce Soir (*) is part of the new Avant-Première de Chanel lip and nail collection that launched on April 5th. The collection is inspired by iconic French cinema and consists of six brand new Rouge Coco lipsticks (of which Ce Soir is a partf of), eight Rouge Coco lipshines and four limited edition Le Vernis nail colours. You should definitely try them out on your next trip to the Chanel beauty counter. 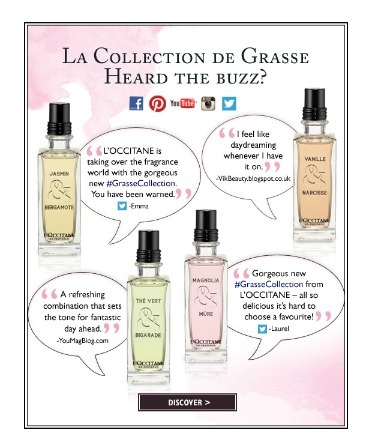 I would describe Ce Soir as a mix between a warm pink, plum and ripe fig shade. Don't you think that's an accurate description? The texture is extremely soft and creamy and has a lovely satin finish once applied. You can definitely tell it's a luxury product when you put it on. 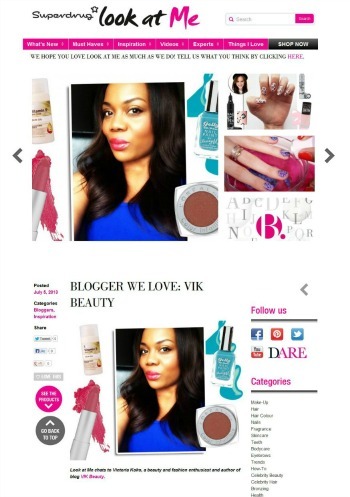 It applies so effortlessly and is also very pigmented. The new Rouge Coco formula is said to combine "hydration and comfort" and delivers "8 hour hydration". This lipstick didn't dry my lips out at all. They felt really moisturised. The lipstick lasted for over 4 hours whilst drinking cocktails after which, I had to touch up. 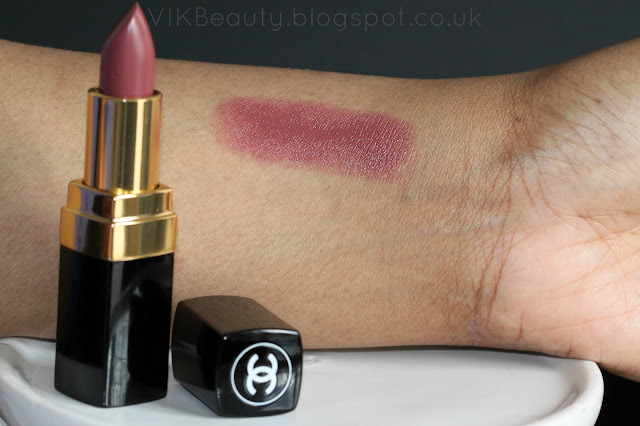 Chanel being a luxury brand, it is not surprising that this lipstick is of high quality. The packaging is timeless and instantly recogniseable. In my opinion, Ce Soir is definitely an elegant shade for your evening engagements. With minimal eye makeup, the attention is drawn to the lips. It is a statement lipstick in an understated way. 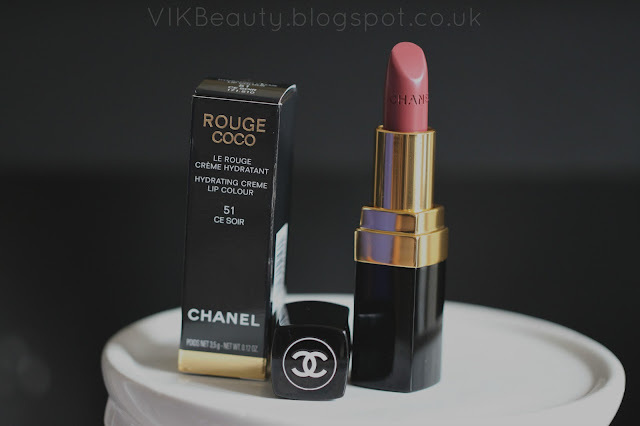 It retails at £24 and is available from Chanel stores and department stores that stock Chanel makeup. What do you think of Ce Soir? 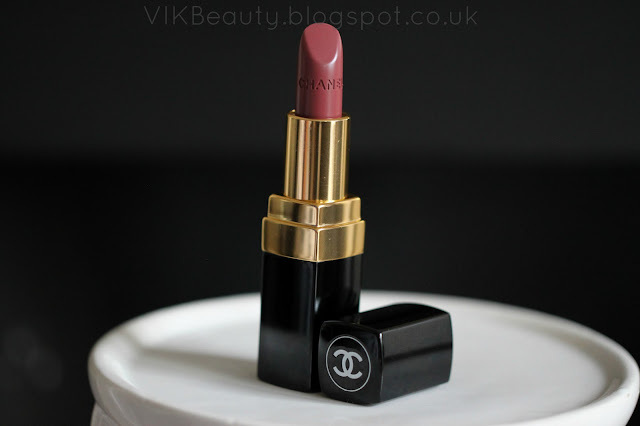 What is your favourite Chanel lipstick shade? Such a beautiful shade. Love that it lasted 4 hours too!